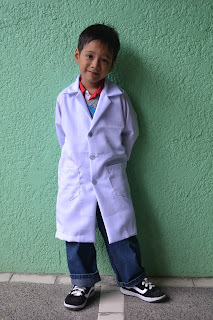 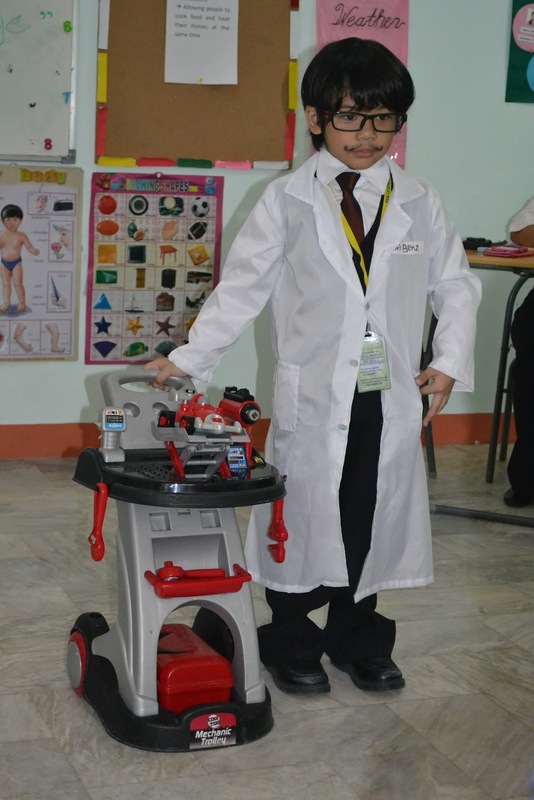 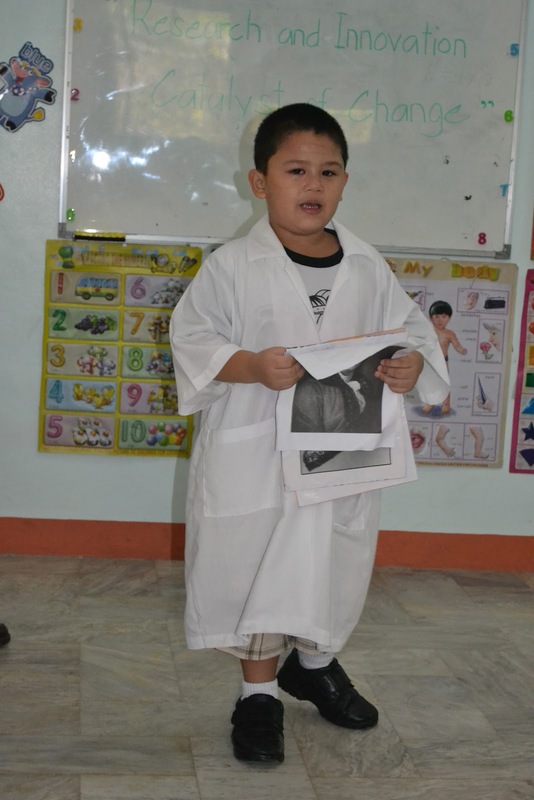 Last September 28, My son's school celebrated Science Month with a theme "Research and Innovation, Catalyst of Change" where they had to wear lab gowns and choose a scientist that they want. 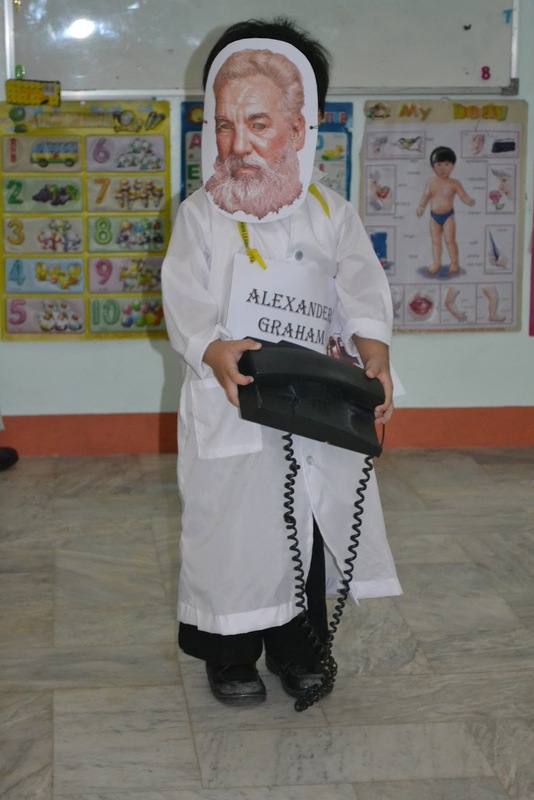 My son played as "Alexander Graham Bell". 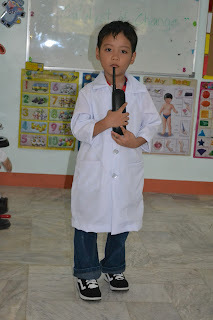 Looking at this pic makes me realize how much he has grown already..